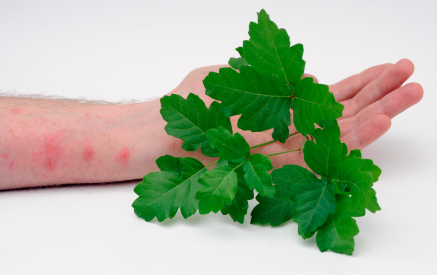 Allergic dermatitis is usually limited to the area where the skin was exposed to the allergen, while irritant dermatitis is usually more widespread on the limb or body. Immediately wash area with soap and water to remove any oils or chemicals from the substance. Rash rapidly increases in size and severity. Sources: American Contact Dermatitis Society , American Academy of Dermatology , and the European Contact Dermatitis Society .